How has Japanese animation evolved since World War II? Who were the people who contributed to its change and how was it influenced by the war? Many people in the U.S. probably heard of cartoons like Sailor Moon, Dragonball Z, Voltron, Gundam Wing, Speed Racer, Digimon, and the ever so popular Pokemon; Famous cartoons that have bizarre character designs: female characters with beautiful round eyes, hair that is incredibly big, and gorgeous figure and physique. Male characters would usually have enormously huge muscles (as seen in Dragonball Z and GT), powerful bodies and maybe, on occasion, have gigantic robots as seen in cartoons like Robotech and Gundam Wing. Where did all these cartoons come from? To find the answer one must look no further than in Japan, the birthplace of Japanese animation, the main source for all of this madness. Japanese animation, also known as anime (pronounced "ani-may"), is a popular form of animation in Japan which is quickly spreading in the U.S. The major difference between anime and American cartoons is that unlike American cartoons, which are only watched by children, anime is popular among the Japanese adults and is watched by millions. The audience is not merely directed to children but to teens and adults as well. The same applies to Japanese comics known as manga. In order to understand anime and its invasion into the US, a look into its history would be most appropriate. The best place to start is around World War II, since that was the time when the anime and manga (Japanese comics) industry evolved significantly. During World War II the entire Japanese nation was mobilized. The people were forced to conform to the government's demands or pay the ultimate price. According to Frederik Schodt's book, Manga Manga: The World of Japanese Comics, those who failed to cooperate were punished by "preventive detention, bans on writing, and social ostracism, while those who recanted were rewarded with rehabilitation programs and support from the community...artists who had spent most of their lives criticizing the government did an about-face and offered wholehearted support to the militarists" (Schodt, 55). Around 1940, many organizations for artists and cartoonists were formed. Among them were the New Cartoonists Association of Japan (Shin Nippon Mangaka Kyokai) and the New Cartoonists Faction Group (Shin Mangaha Shudan). During that time, the government used the few remaining cartoonists, who were not banned from working or who were not in the army, to influence the people through their artwork by creating comic strips filled with propaganda to use against the nation's enemies. In another part of the world, an influential artist who went by the name of Walt Disney was struggling as a cartoonist. Long before Mickey Mouse, he started out with Alice's Wonderland and Oswald the Lucky Rabbit in the 1920s. Then on November 16, 1928, Mickey Mouse was born and became an instant hit in the US. Disney decided to work on other projects and started on an animated feature film called Snow White and the Seven Dwarfs. The film, released in 1937, was a spectacular hit. Things went smoothly for the Disney Studio until World War II came along. Nevertheless, Disney continued to work and released Pinocchio and Fantasia in 1940. Although the two were technical masterpieces, the studio was losing a great deal of money since they were losing the foreign market due to the war. Disney then released Dumbo,on a very limited budget, in 1941 and Bambi in 1942. As a result of releasing many expensive and costly films during the war, Disney began to diminish in influence. During the war, Walt Disney Studios released two more films Saludos Amigos and The Three Caballeros in South America. Throughout the war, Disney concentrated on making propaganda and training films for the military. After the war, Disney Studios struggled to make it back to top as they released several "package" films containing groups of short cartoons packaged together. Among these films were Make Mine Music and Melody Time. By 1950, Disney Studios regained success with the live action film, Treasure Island, and the animated feature, Cinderella. With all the success, Walt Disney felt there was still something he had not yet accomplished. It was not until he found his intriguing attraction to amusement parks that pushed him to build his own theme park, one that children, parent, and people of all ages could enjoy. Thus after many years of planning, construction, and development, Disneyland was built in 1955. It became a monumental park that brought visitors from around the world. Though Disneyland kept Disney rather busy, he, along with his studio and team, continued releasing quality entertainment. Disney released 20,000 Leagues Under the Sea, The Shaggy Dog, the popular TV series Zorro, and Mary Poppins. Unfortunately, the 1960s brought the end of an era: in December 15, 1966 Walt Disney died. However, the Walt Disney Studios managed to survive under the plans that Walt left behind and under the guidance of his brother Roy Disney. Disney remained under Roy's leadership with further releases of The Jungle Book in 1967, The Love Bug in 1969, and The Aristocrats in 1970. By 1971 Roy Disney died and for the next decade, the company was led by a team who was originally trained by the Disney brothers. The team included Card Walker, Donn Tatum, and Ron Miller. Back in Japan, after World War II, a young aspiring artist named Osamu Tezuka became a cartoonist and released his first work Shintakarajima (known in English as "New Treasure Island"). As a child, Tezuka was a fanatical fan of Walt Disney's early animations. Many were impressed by Tezuka's original style. However, it was not until Tezuka released his ultimate work Tetsuwan Atomu (Astro Boy) that he achieved success; he was pronounced "the Father of Manga and Anime". When Tezuka made a name for himself in the industry, he managed to establish his own production company in 1962. He formed Mushi Productions, where he released his best work, Astro Boy. With Astro Boy, Many recognized Tezuka's original style and approach that was new to the entire industry. The style of his illustrations and characters came from French and German cinema. His characters exploded with life and emotion, and his stories would unfold themselves on hundreds of pages. 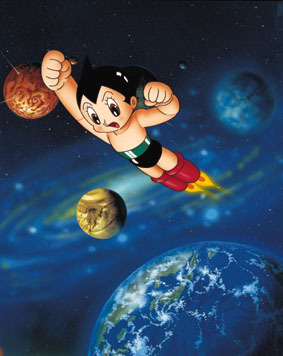 By 1963, Astro Boy crossed international borders and was premiered on NBC stations all over the US and was still successful with American audiences. 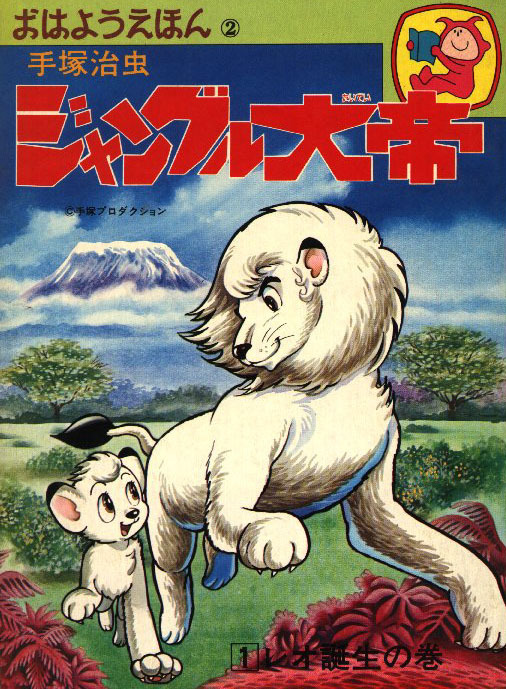 After the success of Astro Boy, Tezuka released another work, Jungle Taitei (Kimba the White Lion). There was much controversy in the past about this anime after Disney released a similar version with the movie The Lion King with Simba as the main character. Although Disney denies this, many believe that Disney stole the anime and recreated it with their own version. 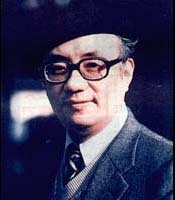 (To learn more about the conflict between Disney and Tezuka visit Tezuka's "Jungle King" and Disney's "Lion King"). Later on, other artists came to take some of the spotlight such as Akira Toriyama, Rumiko Takashi, Hayao Miyazaki, Isao Takahata, and many others. 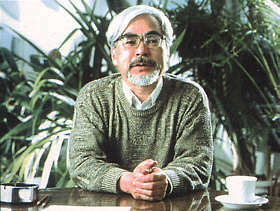 Miyazaki, who works for Studio Ghibli (or www.onlineghibli.com/), is one of the most famous and most respected anime artists of today. Some of Miyazaki's works are Kiki's Delivery Service, Heidi, Nausicaa of the Valley of the Wind, and his recent masterpiece Princess Mononoke. As for me, I have been an avid otaku (fan) of anime for a very long time. I am more of an anime fan than a manga fan since I own and view more anime. I started out with anime ever since I started watching cartoons when I was little. I was exposed to anime back in Saudi Arabia because till this day, mostly all of the cartoons they show for children are originally anime except they are translated in Arabic. I moved here in the U.S. around 1990, when I was about 7 or years old, and for the next few years started watching nothing but American animation. I always thought to myself that the cartoons here were very different from the cartoons back in Saudi Arabia (I never really knew it was anime at the time.). Though I hardly found any Japanese animation in the states I continued to watch my Arabic translated anime since we owned a Sony VCR brought from Saudi Arabia. On occasion when my father would travel, I would give him a list of anime that I wanted and he would get it for me. Of course, many of these tapes were under different titles than the original anime from Japan. Among the Arabic anime I have seen are Mazinger, Grandizer, Metal Man (Al-Rajul Al-Hadidy), Sandibell, Sally (The Little Princess), Lady, Captain Majid, Captain Thabit, Ninja, Al-Darba Al-sa Iqa, Al-Ramyatul Multahiba, and many more. For many of you otakus out there, you may not recognize these titles. Unfortunately, I do not know the original Japanese title they were under. However, those of you familiar with Arabic anime may recognize some of these titles. Anyhow, that was my source of anime but it still was not enough for me. I knew there had to be anime here is the states, I just did not know where to look. It was not until I found Sailor Moon which aired on in the US around 1995. I recognized the style of animation and I was sure that it was not American animation. That was when I learned that all the cartoons I have loved were originally from Japan and were called "anime." I took up drawing and sketching as a hobby which, and I tried to draw characters from various anime I've seen. Around 1998, I came across Cartoon Network, and I started seeing more anime. I watched more Sailor Moon, as well as Robotech, Voltron, Ronin Wariors, and many others. Then I did some research on the internet and learned more about anime, the different types of anime, and some terms used in the Japanese pop culture. Along with that, I also learned about manga and realized that many anime start out as Japanese comics before they become animated features. Till this day, I still continually learn more about anime and manga. Some recent anime I have watched or have been watching are Ranma 1/2, Dragon Ball Z, Gunadam Wing, Lain, Princess Mononoke, Tenchi Muyo, Slayers, Weiß Kreuz, and the latest would probably be Ruruoni Kenshin. I also continue to draw, developing my own style and forming my own characters, hoping that someday I will create my own anime and manga. As Osamu Tezuka was a fan of Walt Disney, I will always be a fan of Osamu Tezuka and Hayao Miyazaki. 1914 - Cartoonists were among the first Japanese artists to experiment with animated motion pictures. 1918 - Momotaro by Kitayama Seitaro became Japan's first world wide success. However, the manga industry was still growing slowly and had a long way to go. 1932 - Before the WWII, Seitaro released the anime, Chikara To Onna No Yononoka. 1941- The Japanese government used cartoonist to make comic strips with propaganda to use against their enemies. 1947 - After World War II, Osamu Tezuka became a cartoonist and released his first work Shintakarajima (known in English as New Treasure Island). 1951 - Osamu Tezuka created the milestone manga, Tetsuwan Atom or Astro Boy, as it was known in the US. As a result, years later he became a pioneer in anime, and was the man responsible for the success of anime and manga worldwide. 1956 - The production company, Toei Animation, was founded by Hiroshi Okawa and released its first feature, The Tale of the White Serpent. 1958 - Tezuka furthers his talents entering the anime world. 1961 - Tezuka founded the Osamu Tezuka Production Animation Department, which eventually became Mushi Productions. 1962 - Manga Calendar was the very first anime to be aired on television. 1963 - Tezuka's Astro Boy premiered on NBC stations. 1970's- Various "mecha" anime (anime with giant robots) took over. Among them were G-Force, Battle of the Planets, Great Mazinger, and Star Blazers. 1979 - Mobile Suit Gundam, the originial version of the current anime Gundam Wing premiered and was a huge success which turned into a nation wide obsession. As a result, the series was released into three theatrical films. 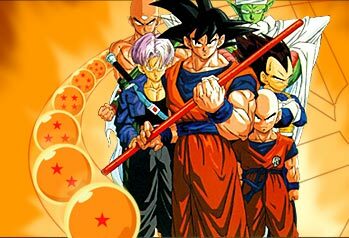 1986 - The artist, Akira Toriyama, released the series Dragon Ball, which became one of Japan's most popular anime shows. Later, the series went on forming Dragon Ball Z and Dragon Ball GT. Dragon Ball Z ©TOEI ANIMATION and FUNimation Productions. 1988 - The world receives a blast with the graphically violent and gruesome anime, Akira, which was an international hit. 1995 - The girls anime, Sailor Moon, was aired in the US. 1997- Cartoon Network launched Toonami, a segment that showed non-American cartoons which later on proved themselves to be more than worthy of watching in the US. 1999 - Pokemon was released in the US and it hit the country by storm! 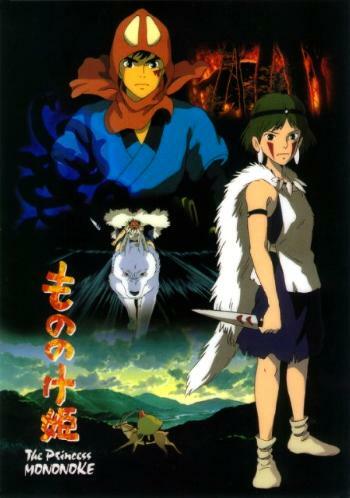 Sometime during the same year, Miyazaki released the movie, Princess Mononoke with help from Disney. 2000 - Gundam Wing, the anime descended from Mobile Suit Gundam, was released. Along with it came Tenchi Muyo, Card Captors, Blue Submarine 6, and the short lived Vision of Escaflowne. 2001 - Outlaw Star, the most current anime to be aired in the US, is showing on Cartoon Netwrok's Toonami. There are countless sites about anime, some general and some specific. To learn more about anime history many anime fans, known as otakus like myself, suggest that one should read Michael O'Connell's A Brief History of Anime. This is a very popular and very useful site. Another informative site one would want to visit is Anime on TV History. Understanding Anime is also another useful site to learn about the various forms of Japanese Animation. This site has information about the art, character designs, mechanical designs, and more. One more site to include is the History of Manga. Unfortunately, the only problem with this site is that the pictures and images are broken. Besides that it has some good information on manga, Japanese comics which are usually how most anime start out as. The 33-year History Of Television Anime: From 1962 to 1995 shows an excellent list of all anime that has been shown in the U.S.
As for sites non-related to anime but related to general or American animation, some of the best sources are to visit are Disney, Warner Bros., Hanna Barbara, and Cartoon Network. In the U.S., Disney was a pioneer and was very influential in the animation industry. To learn more about Disney animation and how Disney started out, I recommend Net Disney's Info facts. Anime! A Beginner's Guide to Japanese Animation by Helen McCarthy, Titan Books, 1993. The Anime Movie Guide by Helen McCarthy, The Overlook Press, 1997. The Complete Anime Guide by Trish Ledoux and Doug Ranney, Tiger Mountain Press, 1995. Dreamland Japan by Frederick L. Schodt, Stone Bridge Press, 1996. Manga! Manga! The World of Japanese Comics by Frederik L. Schodt, Kodansha International, 1983. Revised: April 06, 2001 .